For many, caring is a very rewarding experience, however, it can also be tiring and stressful. Short breaks are one way of helping you to cope with the day to day responsibilities of being a carer. The Borders Carers Centre will advise on short break options that may suit your needs. 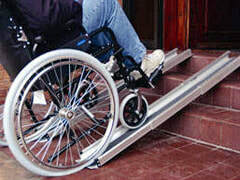 They may also be able to search on your behalf for funding which may be available to help finance your short break. Please also see below for useful links and ideas. You may also be eligible to apply for the Borders Carers Centre Time to Live fund. Click here to apply. Speak to the Borders Carers Centre to hear about the different types of Short Breaks you can take. Every so often, the Borders Carers Centre will take a group of carers away on a respite break to help them recharge their batteries, allowing them to return to their loved ones feeling refreshed and more able to cope. Access to a caravan holiday at Southerness Holiday Park for carers @ £30 per week. See here for more details, then contact us to make a referral on your behalf. Please note that you may need to make bookings a year in advance. If you are a Parent Carer, you will also find other links to holidays, respite and days out here. Please also see our Respitality page here. 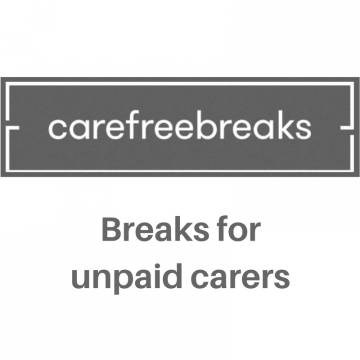 ​We’re pleased Carefreebreaks have chosen the Borders Carers Centre to help facilitate holiday offers and look forward to being able to offer more choice for carers to have a short break. Carers must be caring for 35 hrs+ per week, have their own email address and be prepared to pay a £25 admin fee. Visitor attractions and leisure facilities may offer discounts to you and the person you care for. Get in touch with them before you go and find out what help they can offer you. See free entry for carers to visitor attractions. Many visitor attractions and leisure facilities will offer unpaid carers free entry if you are supporting the person you care for. If the person you care for has to have you with them to be able to use a service (for example, to go to a visitor attraction) then they are covered by the Equality Act 2010. ​See more information about discounts you may be able to get here. Click here to see more information about protecting your rights, and also to download template letters to complain directly to the attraction if you feel this is required. We arrange days out, shopping trips and fun events to give carers a break from their caring roles.